Making customers feel valued is at the heart of marketing so the opportunity to personalise marketing communications is surely one not to be missed. From Coca- Cola’s popular personalised bottles to ASOS’s thoughtful birthday discounts, everyone is at it. 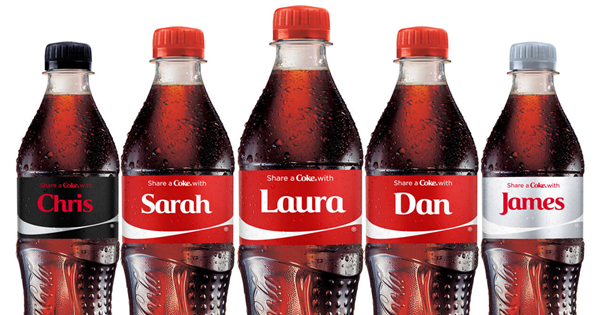 Personalisation is the crucial word on marketer’s lips, but does it actually work? The Realities of Online Personalisation survey tells us that 94% of businesses stated it is “critical to current and future success” however whilst it is easy enough to be lured in by the excitement of the idea, it seems many brands may simply be following suit without properly understanding the wants and needs of their target market. The Direct Marketing Association UK tells us that 64% of people prefer e-mails with a personal touch; in a world where we are continuously spammed with e-mails at all hours of the day, this may seem an encouraging way of breaking through the noise. So with the potential for increased engagement and customer loyalty, the promising results are easy to see. The question remains however that at what point does personalisation become the norm and are brands seeking more innovative ways of reaching out to consumers? Or a marketing faux pas… ??? However, many brands are perhaps overstepping the mark and ignoring the potential pitfalls of too much personalisation. A study from Deloitte found that 66% of British consumers were concerned about the amount of data held by companies to enhance personalisation efforts; this signals a warning light for brands and suggests that there may be a point in which adding the personal touch no longer reaps benefits but instead moves consumers away from a brand. With last year being the year that Target sparked outrage by correctly guessing a teenage girl was pregnant based on her previous purchase history, this begs the issue of how far is too far in the era of personalisation?